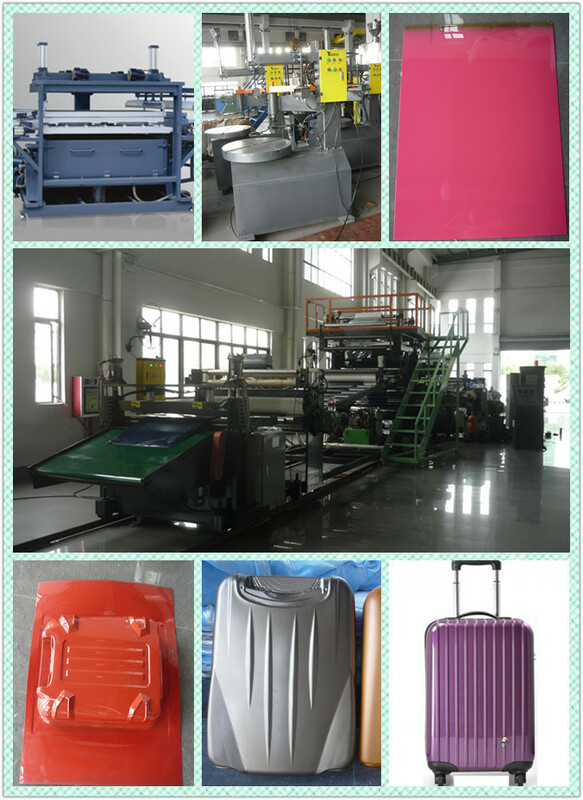 YAOAN is a leading manufacturer of high performance PC,ABS co-extrusion luggage sheet machines. And we have exported more than ten sets of PC,ABS co-extrusion luggage sheet machine to the other countries worldwidely. PC,ABS co-extrusion luggage sheet is widely used in producing bags, travelling case. YAOAN equipment with it's own know-how, especially on the calibrators and annealing oven. We have rich experienced in ABS luggage sheet machines and PC luggage sheet machines. Normally, we have 2 types of this kind of machines: One is horeizon type calander-roll system; The other adopts vertical style calander roll system. The second type is more porpular in this field. 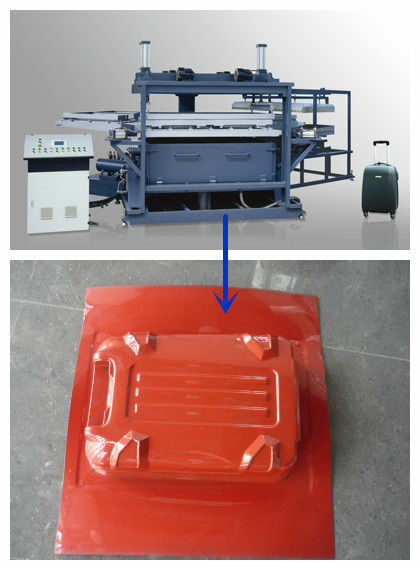 Start from the beginning of 2000, we started to manufacture this kind of luggage sheet machines, such as machine for ABS luggage sheet and machine for PC luggage sheet. During over 10 years, we have supplied over 30 sets of this kind of this kind of machines; For an example,ambassador luggage company(Taiwan background, Located in Shenzhen) have over 6 machines from us;Summit luggage companyhas over 3 sets of 3 layer PC luggage sheet machines from us.